Örömmel tudatjuk, hogy a DC:0-5 magyar kiadása a Medicina Kiadó jóvoltából már a nyomdában van, hamarosan a magyar könyvesboltok polcain is megjelenik! A képzésre már meg tudják vásárolni az angol nyelvű változatot a Medicina Kiadótól. Április 25-ig még kedvezményesen tud jelentkezni a konferenciára: https://pecmh.eu/regisztracio/. A konferencián való részvétel azegészségügyi szakdolgozók esetében összesen 20 pont ér, szakorvosok, szakpszichológusok (OFTEX) esetében 24 pontot. 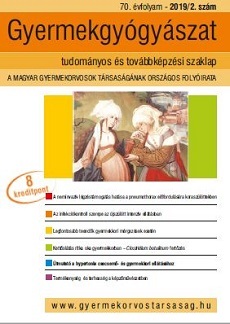 A május 8-i napon a pre-congress workshopokon azok a kollégák is részt vehetnek, akik a teljes konferencián nem tudnak részt venni. Amennyiben érdeklődnek az alábbi pre-congress workshopok valamelyike iránt, részvételi szándékukat jelezzék a konferencia Titkárságon: registration@pecmh.eu. A szakorvosok (OFTEX) számára a Pre-Congress Workshop-okon való részvétel 6 pontot ér. Kérjük látogassanak el a https://mgyt2019.hu/ honlapra, ahol minden részletes információt megtalálnak. The program will be both exciting and innovative in its wide-ranging and multidisciplinary content. In addition to oral and poster presentations by world prominent speakers, we will be providing workshops, interactive sessions as well as several sessions specifically dedicated to nurses, patients and sponsors. Ology Mavens Inc is honored to invite you to the International Conference on Hepatology and Liver Diseases to be held in Dubai, UAE during June 10-11, 2019. The conference proceedings embody symposiums and workshops, keynote speeches, plenary talks, poster sessions and panel discussion on latest research developments in the field of Hepatology. Hepatology 2019 conference will encourage innovative ideas and advanced diagnostic approaches towards the liver disease. It will share recent advancements and knowledge about liver and pancreatic disorder and treatment strategies. The participant firms will show their product to realize the networks and to market their approaching new methods for the long run era. The importance of this conference is to induce along all the Hepatologists, Gastroenterologists, Pathologists, Directors/CEO & Industry experts, Professors, Researchers, Scientists and Students of Hepatology and Liver diseases in all areas of Liver diseases and to supply a global forum for the dissemination of original analysis results, new ideas and sensible development experiences associated with the analysis. Europaediatrics 2019 is the biennial scientific meeting of the European Paediatric Association and the Union of National European Paediatric Societies and Associations (EPA-UNEPSA) and will be hosted by the Faculty of Paediatrics of the Royal College of Physicians of Ireland. We are inviting abstract submissions until 4 February 2019 (23:59 GMT). Abstracts will be published in the Archives of Disease in Childhood with awards given to the best poster, best young paediatrician case report, and best young paediatrician research poster. Book your place early and save on the cost of registration! Book before 7 January 2019 (23:59 GMT) to save up to €190. After the overwhelmed success of 1st edition of Pediatrics & Child Care 2018 Congress which was held in Valencia, Spain during April 23-25, 2018, we are proudly announcing 2nd Edition of Pediatrics & Child Care during November 04 - 05, 2019 at Porto, Portugal. Pediatrics & Child Care 2019 is the best platform for Pediatrics professionals, researchers, students, and healthcare industrialists to meet and share their creative ideas and thoughts for the children health and smile. The congress focus on important topics with 30 scientific sessions including trendy concepts like child support mobile technology, drug addiction in teenagers, Social Pediatrics, side effects of anesthesia and Support for transgender youth. We cordially invite you all to take part in Pediatrics and Child Care 2019!